The inspiring Mexicano design but split into two. Top half split is a single clear pane of glass with frosted lines to mimick the mexicano panels below. Unfinished- so ready to decorate. 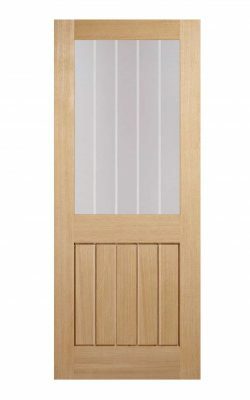 Available as an FD30 Fire Door version and as a standard two panel or a one panel variant too.